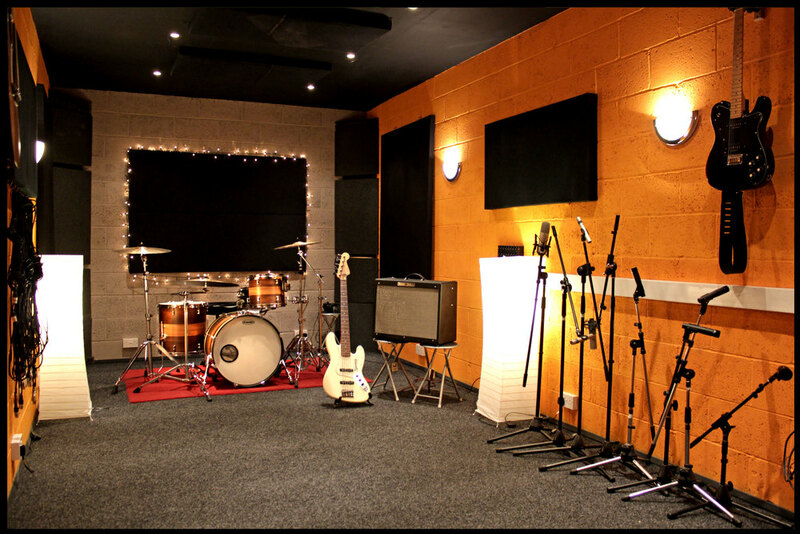 At TruStudios we understand that it can be a worrying prospect for you, as a musician or artist, to rely on a studio to capture the essence of your music and present it the way you'd always imagined. Therefore, our priority in any session is to ensure that we are constantly moving towards your project goals which we will outline with you prior to your session. Setting these session goals will help maximise your studio time and make sure each part of your project gets the required focus it needs. Whether you're a band or artist looking to record a single, album or E.P we have everything you need to bring your project to life. Our live room is bright and spacious and designed with versatility in mind to accommodate your set up. Our dedicated control room provides a relaxed atmosphere for mixing and overdubs. We use Cubase with Presonus hardware and XMAX pre-amps and our set up provides each musician with their own dedicated headphone mix to help capture the best possible performances. We have a wide range of microphones and instruments which you are quite welcome to utilise during your time here and we always encourage you to bring any equipment that you think will add to your session.